SMT-024-048VT is the 24v 48w constant voltage triac dimmable led driver which is no load limitation. That is to say, you can lod it into 1-48w led light.No need to consider the load limitation. 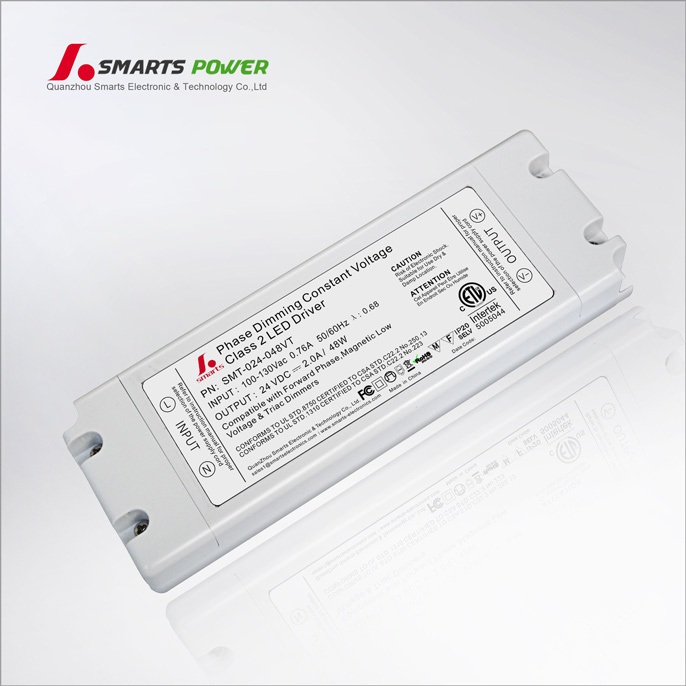 SMT-024-048VT is the 24v 48w constant voltage triac dimmable led driver which is no load limitation. That is to say, you can lod it into 1-48w led light.No need to consider the load limitation. 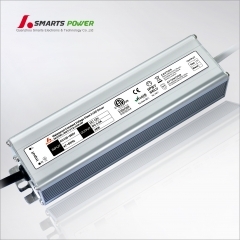 We stock many different types of driver to power your LED lighting products. 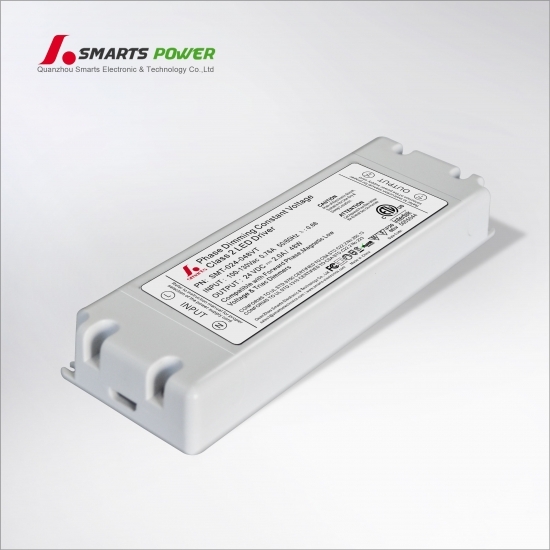 Our Electronic Intertek Led Transformer has universal AC inputs for both residential and industrial lighting projects. 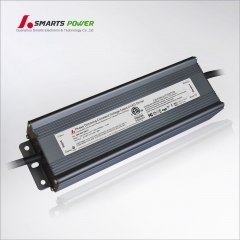 Smarts Electronics' 24 to 300 Watt Dimmable Drivers offer an elegant and compact dimming solution for any LED light strip or tape light projects in your home or business. 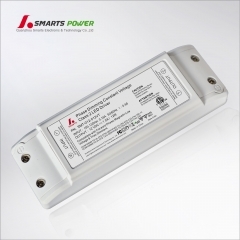 110V/ 220V AC to 24V DC and works with LED Compatible with Lutron, Leviton. PWM output which makes thedimming more smooth. DIMMING from 0 to 100% with no flicker. Input (L) and (N) with wires to be connected AC. The Pulse-Width Modulation (PWM) of output voltage can be adjusted through input terminal of the AC phase line(L) by connection a triac dimmer. 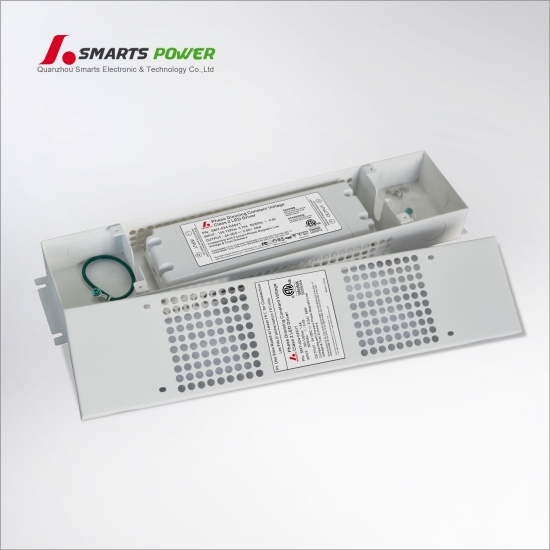 Usually matching with leading edge Triac Dimmers( Can customized as a driver only matching trailing edge Triac Dimmers if needed). 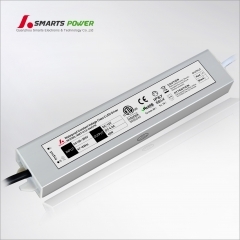 Please try to use dimmers with power at least 2.5 times as the output power of the driver. Risk of Electric Shock. Mount the unit at a height greater than 1 foot from the ground surface. 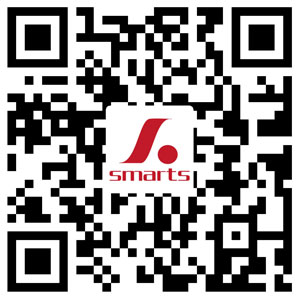 All of our drivers are got UL/cUL CE ROHS listed .OEM Welcome. Q1. What's the trade terms you can do?? Q2. 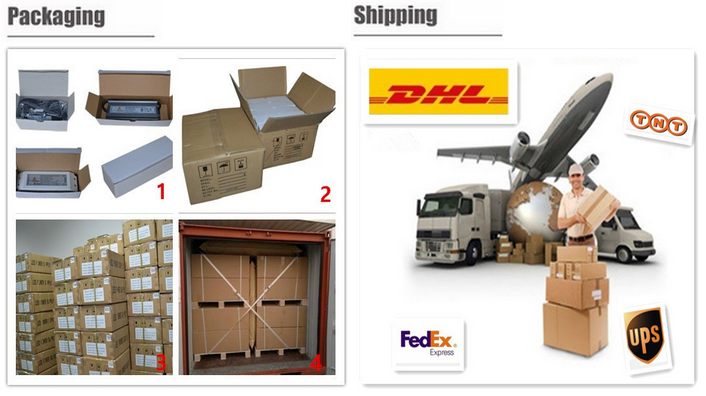 What's shipping mode can we choose? A2: Express, Ocean and air transportation (optional). Q4. What can you do if the product is broken? A4: We promise to replace new ones to you if there is any defective happen during the warranty period. Q5. Can i get products with my own logo?? A5: Sure, you can, MOQ is 500pcs. Q6. Can i get a sample for testing?? A6: Sure, but sample fees should be charged on your account. Q7. What's the mormal lead time?? A7: 7 working days for samples, 15 working days for mass production. Q8. What's the payment conditon? Q9. What's the Payment do you have? A9: We accept payment be sent via T/T, L/C, Trade Assurance, WESTERN UNION, PAYPAL.